arranging funerals for many years. 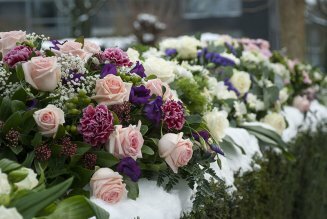 We'll arrange a private consultation to discuss your funeral arrangements and help you create the perfect farewell ceremony for your loved one. From religious ceremonies to personalised services, we ensure that everything is according to your wishes and help take the stress away. burial plot…. We're here to help organise all the details. Want to make early plans to take the worry off your family? Call Norman McBriar & Son. We're here around the clock, every day of the year. Whether you need us at home, at the hospital or for a residential care patient, call us for a fast response and 24/7 support. Choose Norman McBriar & Son for an experienced and understanding funeral director based in Saintfield. We'll take care of all the arrangements for you and help you with planning and details. 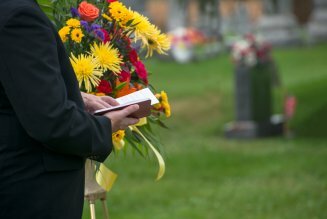 We can help you choose the perfect tribute to your loved ones with beautiful memorial stones. 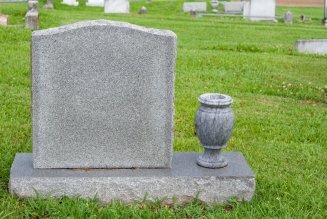 Need repairs to an existing headstone or an update to the wording? Call our team today. With many years of experience, we understand how difficult this time can be for you. With private consultations and a supportive, friendly team, we're here for you when you need us.